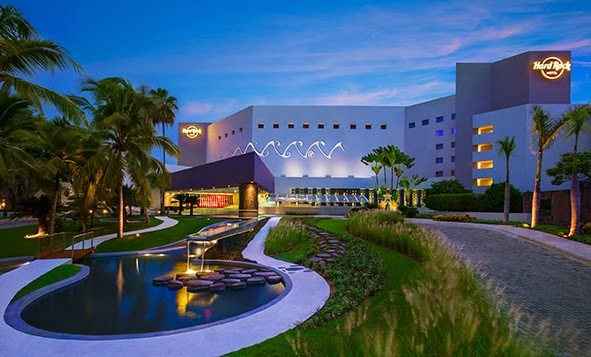 In appreciation for the support received from the tourists who participated in the Visitor Profile Surveys, the Riviera Nayarit Convention and Visitors Bureau raffled off a free night in a Deluxe Gold room at the Hard Rock Hotel Vallarta. The Riviera Nayarit Convention and Visitors Office (CVB) raffled a free night’s stay in appreciation for all the visitors that so kindly volunteered to help with the destination’s Visitor Profile Surveys in 2013. The raffle prize consisted of a free all-inclusive one-night stay for two, in a Deluxe Gold room at the Hard Rock Hotel Vallarta. The winner, María López Cázares from Tlaquepaque, Jalisco, also received a special rate for the accommodation in case she wanted to prolong her stay. Participants in the raffle included visitors from the United States, Canada, Colombia, Brazil and Mexico, among others. According to the Visitor Satisfaction Survey for 2013 that recently concluded, visitors gave the Riviera Nayarit a score of 9.58, with 0 being the minimum score and 10 being the maximum. In order to obtain these scores the CVB used an average of the results from several categories: time spent waiting in immigration upon arrival, customs personnel, baggage claim, hospitality, tourist safety, cleanliness of the destination, public transportation and availability of information. This prize is but a sample of the appreciation the Riviera Maya CVB feels towards the visitors that helped generate these statistics, which serve the important purpose of getting to know our visitors’ needs in a more focused manner and make this their very favorite destination.